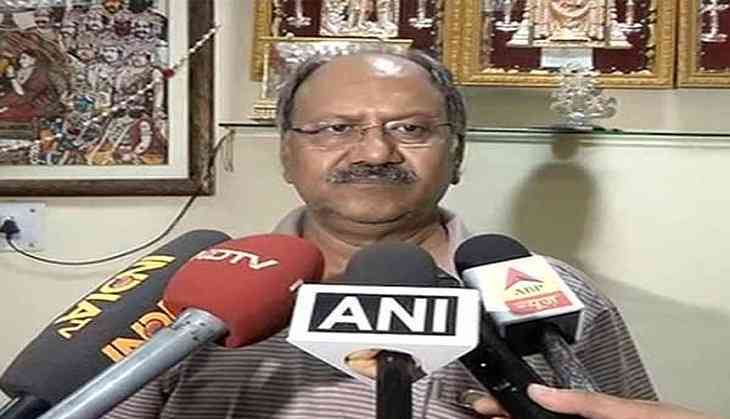 Chhattisgarh Minister Brijmohan Agrawal, whose wife has been accused of acquiring the state's forest land for constructing a resort, said that he and his family have always abided by the law. Assuring no error from his side or his kin, Agrawal said that it is possible that the farmer who sold the land might have committed some mistake. "I have no knowledge about it. Whatever we have done we have always abided by the laws and the rules. We have not made any mistakes. If anything wrong has happened it would have happened from the side of the farmer who sold it to us. I cannot understand what mistake have we done," said Agrawal. Sarita Agrawal, wife of leader Brijmohan Agrawal has said to have acquired 4.12 hector of Chhattisgarh forest land raising questions of propriety and conflict of interest. According to records, the land originally belonged to Vishnu Ram Sahu who is a farmer and donated the same to the government to the then Madhya Pradesh Water Resources (WRD) department in the year 1994 for Public welfare. Later on the land was transferred to the forest department. Moreover after nine years, Rs 22.90 lakh was spent on afforestation of this land. The resort, namely Shyam Vatika, is being constructed near Sirpur area in Chhattisgarh. Sarita along with her son are working on the resort project. As the companies (Aditya Srijan Private Limited and Purbasa Vanijya Private Limited) which have taken over the project have both mother and son as its directors. The episode came at front in March 2015 when a member of Kisan Mazdoor Sangh, Lalit Chandranahu urged the collector to look in to the matter. Chandranahu in his letter alleged that while the piece of land was donated to the government the revenue records don't include the information.